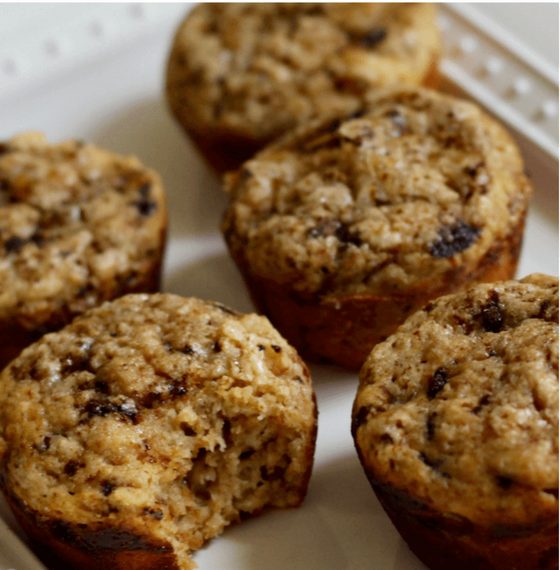 These caffeinated muffins are a delicious way to wake up! Pair one with some plain Greek yogurt and berries for breakfast. So I have to tell you the story of how these muffins came to be. I've been bleaching my teeth—you know, dentist-grade style where you can't drink anything dark like coffee or tea until you're finished. I was having the hardest time without caffeine. So why not add coffee to a baked good? After all, inspiration tends to strike pretty well under strange circumstances. Now, of course, the day to bake with coffee, I was lacking some typical muffin-making ingredients, like milk. But that didn't stop me. 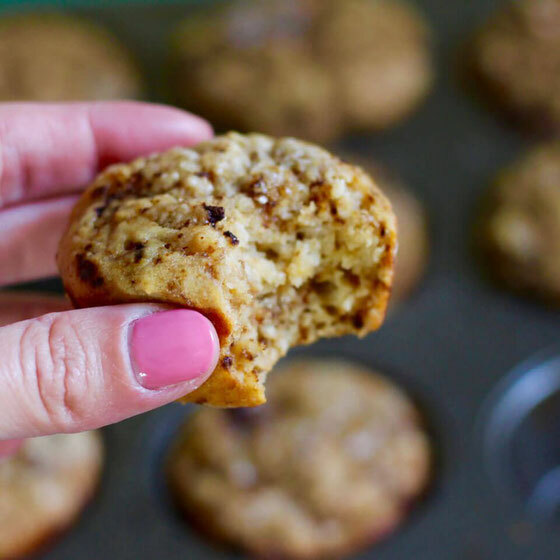 I experimented in the kitchen and found a way to add plenty of moisture to the muffins with other ingredients, including Greek yogurt (my Cinnamon Spice Muffins are also made with Greek yogurt!) and eggs. Both of these ingredients add satiating protein to the recipe. Now, I think these muffins are pretty delicious and make a mean addition to the breakfast table, mid-teeth-whitening adventure or not. I've experimented plenty with cooking with coffee and have found that instant coffee works really terrifically. If you're wondering how much caffeine this recipe packs, a teaspoon of instant coffee offers 31 milligrams caffeine, per the USDA database. 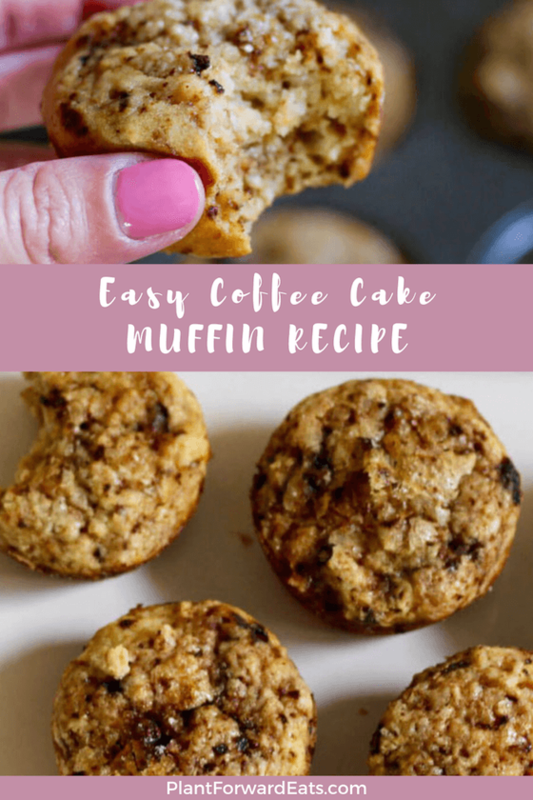 Since this recipe is contains a little over 2 Tablespoons of instant coffee, that means each muffin has about 16 milligrams caffeine. That's not quite the amount in the average cup of coffee or shot of espresso, but it's still something! And I kind of love making caffeinated muffins, as with my Matcha Green Tea Energy Muffins. You probably already have most or all of these ingredients in your kitchen. 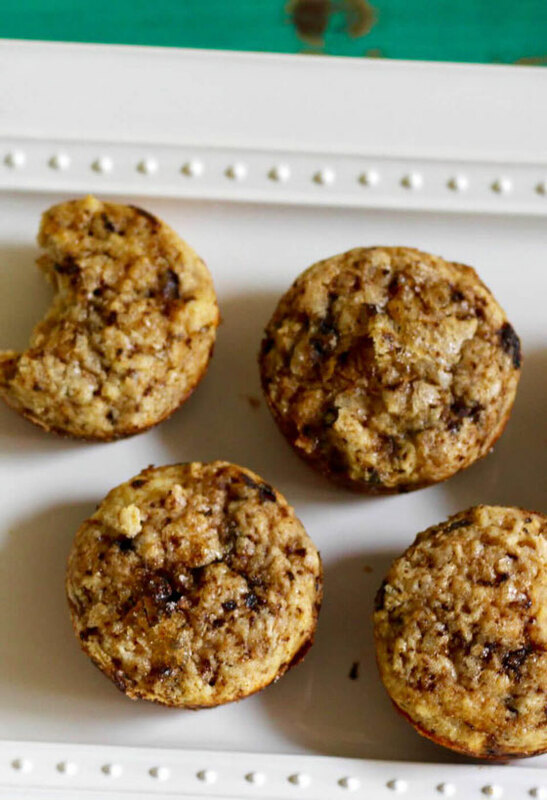 Go ahead and whip up a batch for breakfast today! Preheat oven to 350° F. In a mixing bowl, combine flour, baking powder, salt, 3/4 cup sugar, and 2 Tablespoons instant coffee. In a separate mixing bowl, mix together eggs, yogurt, butter, and vanilla extract, blending thoroughly. Add dry ingredients to wet ingredients, stirring only enough to dampen the dry ingredients. Fold in 2 Tablespoons of instant coffee. Coat non-stick muffin tins with spray oil, then spoon batter into muffin tins, filling about three fourths of the way full. In a small bowl, combine remaining sugar and instant coffee; sprinkle mixture over the top of the muffins. Bake for about 20 to 25 minutes, and enjoy! Makes 14 muffins. Find this post helpful? At no additional cost to you, support the maintenance of running this site by using my Amazon affiliate links to shop. Thank you! What are your thoughts on this topic? Have you ever tried cooking with coffee? What did you whip up? And don't forget to sign up for my newsletter to get weekly updates delivered straight to your inbox!